Compare PDF is a program for comparing PDF files to per-form a quick check of their content. The ergonomics of the interface facili-tates its route. 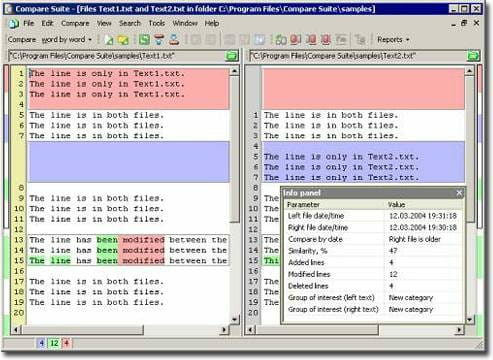 Comparison: this program uses different methods of comparison which fol-low Word by word or character by character content of each file referred to. The search can be done according to a keyword entered by the user. Evaluation of dossiers: it is important for the user to specify the folder of reference for comparison. It is most often of that contains the last saved changes. This method allows to find authentic information. Comparative report: it provides a quick way to recognize the changes. These reports are structured to identify easily the typos and incomplete changes. An option to share these reports in the format htm or convert to MS Word or Excel format. The user is allowed to establish a command-line facilitating manipulation. This is a valid trial version for a few days only. Latest update on June 2, 2015 at 10:52 AM.